This is the most common form of cerebral palsy and is characterised by stiffness and spasticity of the muscles. 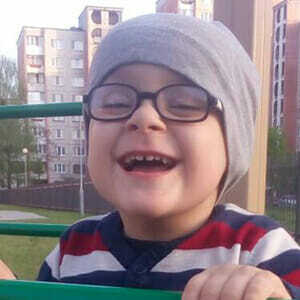 Anton is 4 years old, he is very kind and cheerful child. However his childhood is not the same as by healthy children: various rehabilitations, visits to doctors and pain – all this instead of friends and toys. Anton was born on the early term of pregnancy and the whole month was in the SCN (special care nursery). Then began a fight for full and normal life. At the moment Anton can even take several steps independently in special orthoses! “I make all investments in the rehabilitation of my son: hipotherapy centers, special medical courses, swimming-pool, and therefore there is no opportunity to buy a special carriage for my son.” – Anton’s mother shares. Anton needs a wheelchair to be able to visit rehabilitation and hipotherapy centers. Thank you in advance!